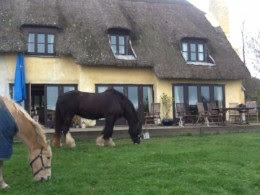 Janet Jenkins – host of Cuckoo Farm and equine facilitated therapist. Janet has been holding space for womens workshops since 2003 and drum making since 2008. She is passionate about living a sustainable low impact life and connecting to nature and the old ways. 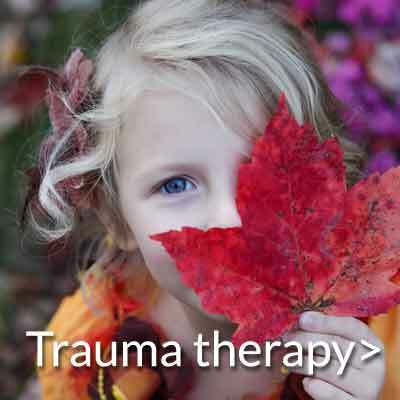 Shelley Carr – Equine facilitated therapist, teacher and psychotherapist specialising in complex trauma. Shelley is passionate about helping clients to recognise, appreciate and develop their inner resources, and to develop the courage and self compassion to fully feel their emotions. Suzanne Green – Facilitator of the Naked Voice and twenty + years experience as a body worker. She was launched on her journey of self discovery thirty years ago and has been following her inner compass towards greater self awareness ever since. Suzanne models an authentic and, often laughter filled, relationship with ‘not knowing’ and trust in the universe. This is an invitation to join a small group of women to explore how we can navigate our way in life guided by our own inner compass, and thereby living a life that feels authentic. Over the course of 4 weekends in 2018, guided by 3 experienced facilitators, we will explore the following questions through equine facilitated experiences, ceremony, connecting with the sacred landscape, voice work, creative exercises and body awareness techniques. What takes us off course? How do we learn to recognise our false self (our conditioning) and our authentic self? What techniques help us find stillness and connection? How can we recognise and develop self care? How do we find the courage to lift anchor and follow our inner compass? Cuckoo Farm, Modbury, Devon. This is not a residential course although some glamping and camping accommodation is available on site and there are also local B and Bs. Janet Jenkins: Janet originally trained as a teacher and counsellor with a particular interest in Jungian psychology and as an environmental educator/outdoor leader and most recently as an equine assisted therapist. Her previous work has included leading workshop/retreats to Dartmoor, The Brecon Beacons, The Brickleive mountains of Sligo, Ireland, Isles of Lewis and Harris, Transylvania and the Arctic, as well as drum making for individuals and groups. She is the owner of and holder of the space for Cuckoo Farm, where she is realising her vision for bringing together all her skills and resources to build a working smallholding where connection to nature can provide opportunities for sanctuary, relaxation, rediscovery, and revitalization. Placed between the moor and coast and adjoining the Devon wildlife 100 acre nature reserve, Cuckoo Farm is the ideal place to explore our own nature and the nurturing of our authentic self. Shelley Carr: Shelley works with individuals and groups to facilitate personal growth and self awareness. She qualified as an Eponaquest Instructor in 2009 and spent 6 years working with IFEAL (International Foundation of Equine Assisted Learning) and was a key member of the team that developed the first regulated qualification in Equine Facilitated Human Development. She has a postgraduate diploma in the treatment of complex trauma and PTSD, is a qualified Matrix Reimprinting and Emotional Freedom Technique Practitioner and is currently training as a Somatic Exercise Coach. Shelley studies and practices Inner Bonding, a spiritually based deep self healing process to develop self love and compassion. Suzanne Green: Suzanne Green is a body worker with over 20 years experience including Clinical Aromatherapy, Reflexology, Thai massage, Indian Head Massage, Guasha (Chinese medicine technique)and Myofascial Release. Alongside her training in physical therapies, Suzanne has continued with her own personal growth and study of the mind, body, spirit connection which in the last few years has led her to qualify as a Naked Voice facilitator. She is currently training as a Somatic Exercise Coach. The programme costs £1500 for the year. Payment plans are available. All workshops are non riding (unless otherwise stated) and previous horse experience is NOT required. All workshops run by Shelley can also be found listed on the Epona website, www.taoofequus.com and qualify as Eponaquest Introductory Courses. This means that they cover the pre-requisite material should you wish to join an Advanced Course at Epona or run by Eponaquest staff internationally. Shelley’s Introductory and Advanced workshops also meet the requirements for application to the Facilitator Training Course run by IFEAL (International Foundation of Equine Assisted Learning).